Real Madrid to finally replace Zinedine Zidane – Royal Times of Nigeria. 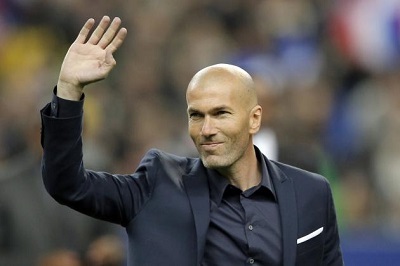 Spanish football giant, Real Madrid is reportedly considering the exit of club legend, Zinedine Zidane with Klopp penciled down as replacement. Liverpool manager, Jurgen Klopp, is attracting interest from Real Madrid. According to The Sun, the club want him if they sack Zinedine Zidane at the end of this season. Zidane is expected to remain at the club if he wins the Champions League, but the club’s poor league form has put his position under threat. Klopp has become a target for the LaLiga giants, following his success with Borussia Dortmund and Liverpool in the European competition. The Liverpool boss could still have a say in whether Madrid will retain the Champions League if both sides progress to the semi-finals. Bayern Munich have also been linked with Klopp, but reports in Germany say Madrid hold the most interest.